Engineers from the University of California San Diego have developed a magnetic ink that can be used to 3D print self-repairing batteries and circuits. The ink is able to repair itself due to the presence of conductive neodymium microparticles, which are aligned in a particular way by a magnetic field. When torn or cut, the two sides of the printed material are magnetically attracted to each other, recombining to form a complete circuit. Described in the journal Science Advances, the magnetic ink could be used in electrochemical sensors, wearables and various other printed electronics. 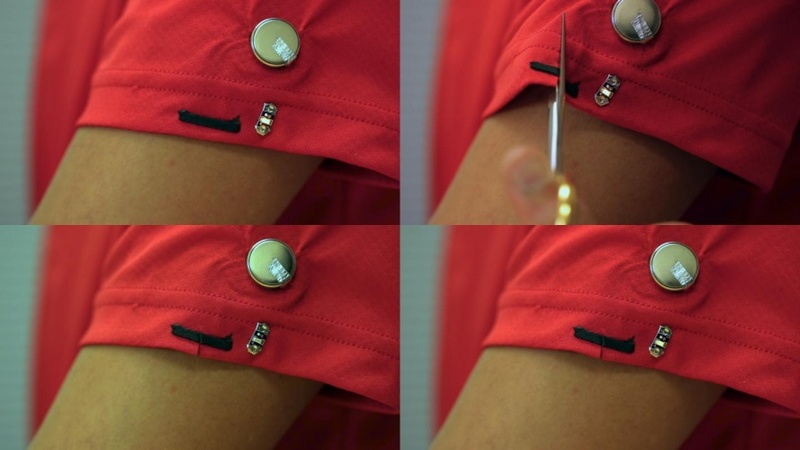 The engineers demonstrated the ink’s capabilities by printing a self-healing circuit on the sleeve of a T-shirt, and connecting it to a LED light and a small battery. When the T-shirt and the circuit were cut, the LED light shut down, but after just a few seconds it came back on when the two sides of the material were magnetically drawn back together, and the circuit was restored. 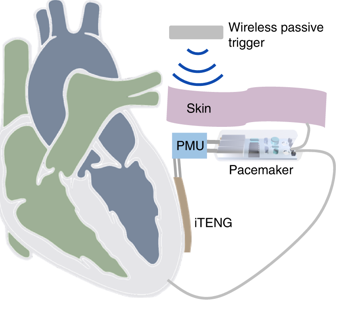 According to the researchers, existing self-healing materials rely on external stimuli such as heat or pressure. An advantage of the magnetic ink is that no such catalyst is required, and damage can be repaired within about 50 milliseconds (0.05 seconds). As well as the neodymium microparticles, the ink contains carbon black, a material commonly used in batteries and sensors. Devices are printed in the presence of an external magnetic field, which ensures that the particles position themselves to behave as a permanent magnet with two opposite poles. In the future, the UC San Diego team plans to experiment with inks using a combination of different ingredients that could have a wide range of applications.